As newspapers continue to sell off their collections of photographic prints, I have obtained more of these working documents for my collection. 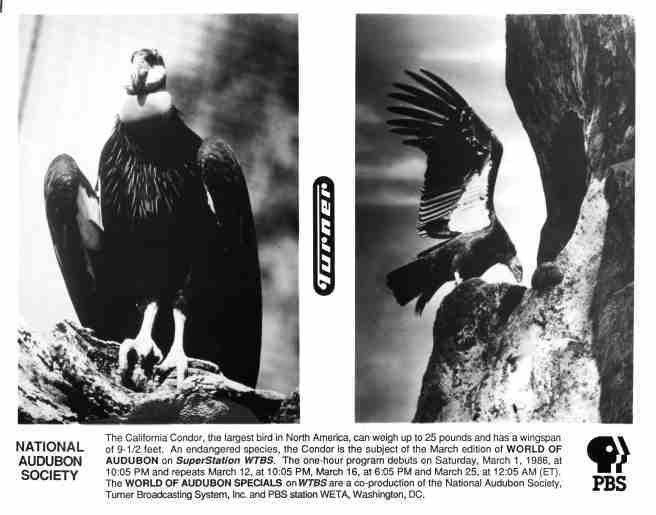 This post presents 10 news photos of California condors in chronological order. Except as noted, the photographs below were not credited to an individual. 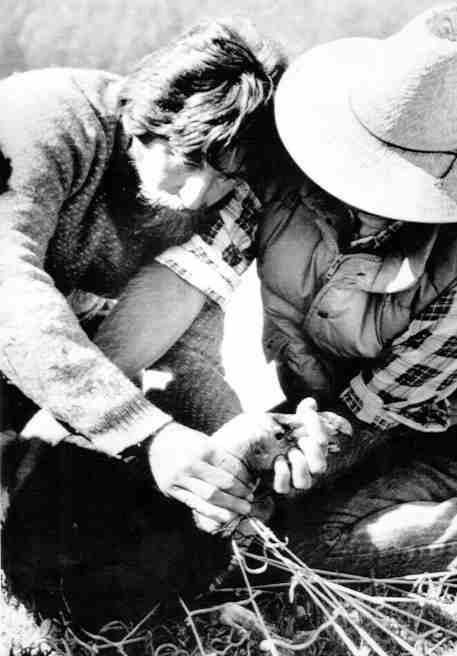 All the photographs are black and white, as was typical for news photographs of the time. 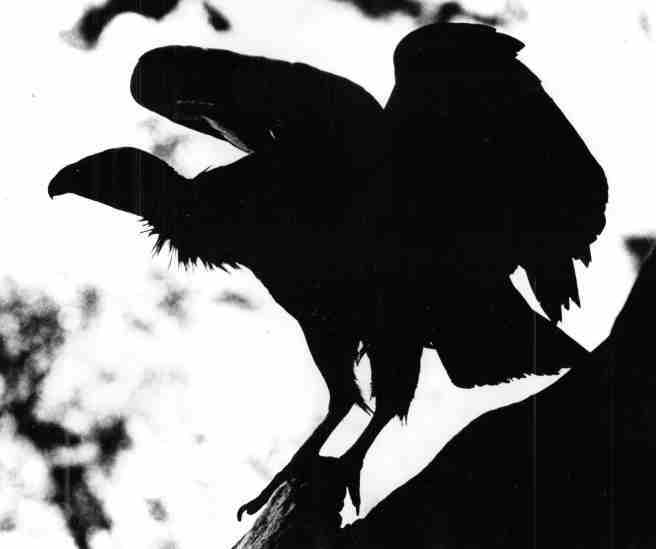 Silhouetted against the sky of the Los Padres National Forest in California, a California condor surveys its last retreat. 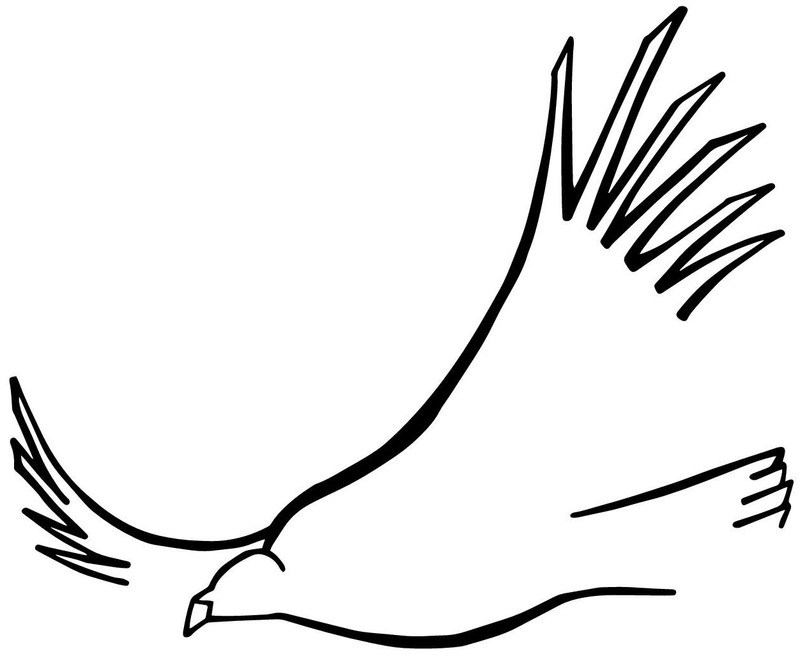 Only some 40 of these largest of North American soaring birds remain. 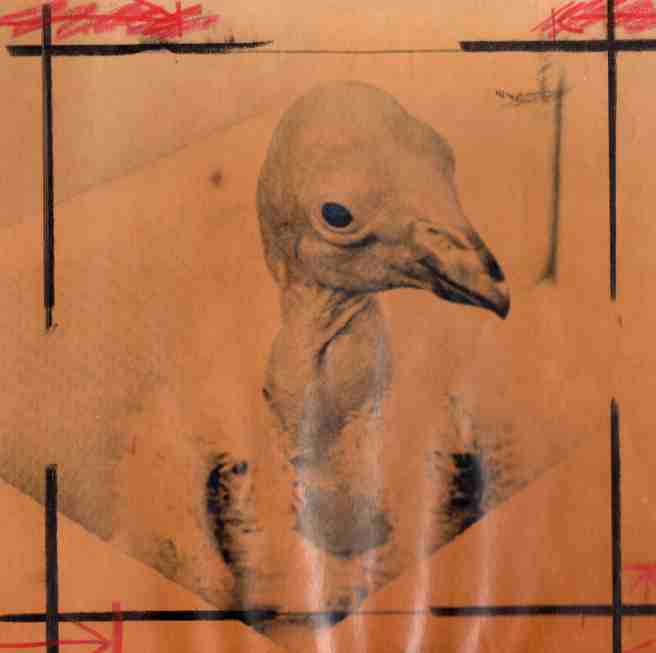 The above image was released by the Zoological Society of San Diego and is dated 22 November 1983. 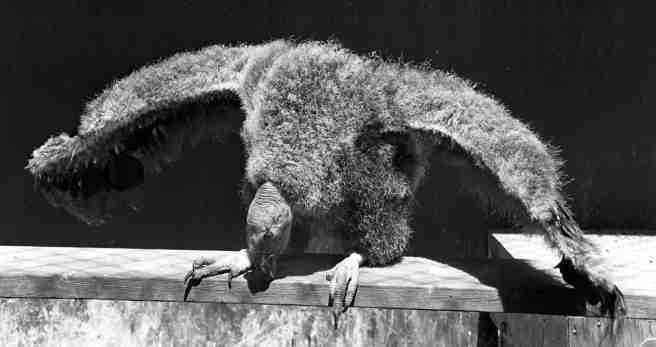 Given the bird’s age, the photograph would have been taken in late spring or early summer. Watch that perch! Wildlife biologists are trying to teach California condors to recognize and avoid power lines, which have taken a big toll on the endangered species. The above image, dated 19 April 1987, shows Pete Bloom on the left, Greg Sanders on the right, and AC-9 in the middle. 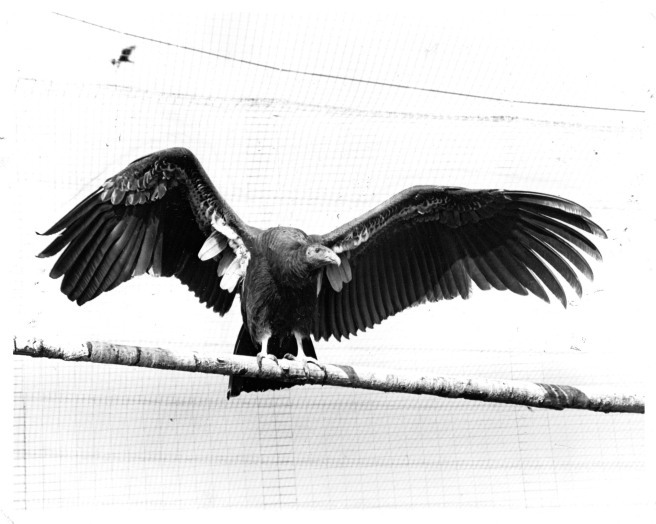 AC-9 was the last condor brought in from the wild for captive breeding and is seen still tangled in the net that trapped him. This photograph was taken by John McNeely for AP. For more on the significance of 19 April 1987, see the post Extinct in the wild: news reports – part 1. 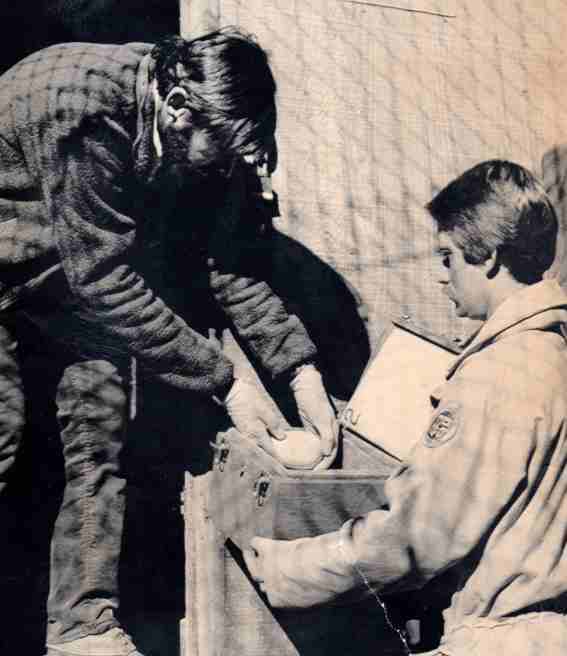 The caption for the above image explains that the egg was laid at the Los Angeles Zoo and then transferred to the San Diego Wild Animal Park for further care. 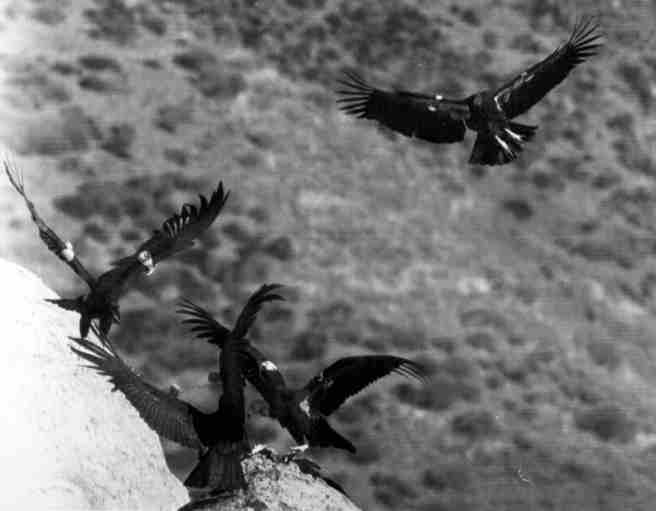 The above image shows 2 California condors (center) and an Andean condor at the Sespe Condor Sanctuary. The above image is dated 8 December 1993 and was taken by Alan Hagman of the Los Angeles Times for AP. 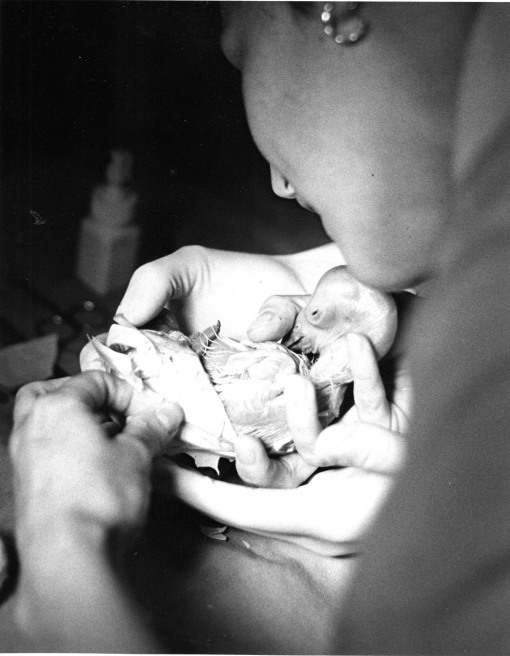 For more news photographs, see these previous posts: Close-up news photos: 1935-1980 and Photogenic & newsworthy eggs & chicks.